Everyone's favorite handheld photo printer just got savvier and more social. Dubai, United Arab Emirates, October 22, 2018 – HP Sprocket New Edition, a portable, pocket-sized photo printer, just got savvier and more social. It's ready for any event – in a new collection of colours – so everyone can snap pictures, instantly print from a mobile device and share in the fun. 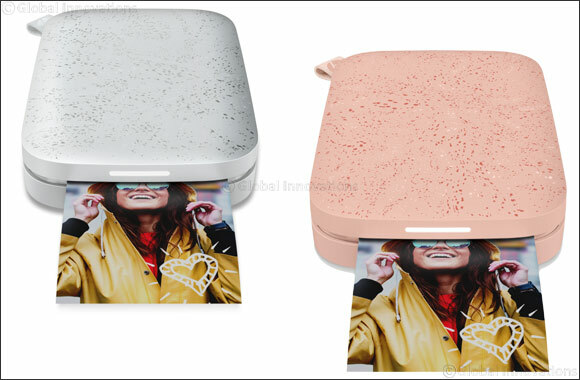 Social Printing: Multiple friends can use Sprocket New Edition simultaneously . Everybody can print to the same device with three simple steps – connect, select, and print. LED light flashes different colour for prints from each phone, so you know whose photo is printing. New Design & Colours: Soft to the touch and minimalist design including three new colours - Luna Pearl, Noir, and Blush. Enhanced Print Quality: Pictures are sharper with more visible detail and deeper colours, making your memories pop even more. Shared Experiences: Create a shared photo album for an event through the Sprocket app, so everyone can relive photos taken and printed . Augmented Reality: See the queue and the print status in augmented reality with blending of the digital and physical on the Sprocket device itself .